What makes a good medical chronology? The whole purpose of creating a chronology is to save the time of the fee earner and the expert, and to bring clarity to what is usually a complex series of facts. It is a responsible and difficult task to identify the matters which need to be included and to what extent; it requires expertise, an understanding of the legal and medical principles involved, and a high degree of focus . At Clinco, these are the qualities we bring to every case. We have produced many hundreds of chronologies, all requiring our discretion on content and all containing the key information and nothing more. Medical chronologies which are too long are worse than useless. These demotivate the reader and mystify the sequence of events. The more complex the case, the clearer the chronology should be. A chronology which does not include all relevant events and material is equally bad or worse. Our chronology will set out the relevant events and entries from the records, having regard to the issues on liability and causation. We are also often asked to review the records and prepare lists of issues, identify particular references (for example as to date of knowledge), and comment on appropriate expert specialties. We cover all aspects of the patient’s case, starting from details surrounding the alleged negligence through to the facts dealing with pain, suffering and loss of amenity and the subsequent diagnoses and, where relevant, condition and prognosis. Any set of records we have prepared will be accurately and consistently ordered, with a detailed index to assist with navigation of the bundle, and with all duplicates and ‘wrong patient’ records removed. 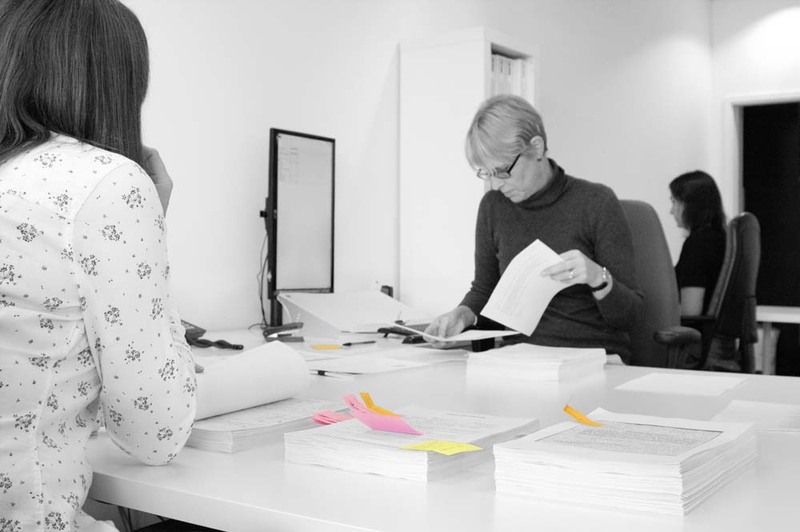 We seek to bring clarity to the events and the evidence documenting those events; a combination of relentless attention to detail and expertise in interpreting records is the only way to achieve this satisfactorily. We will draw attention to missing records, discrepancies within the documentation, and anything else we feel the fee earner would like to be aware of in dealing with the case. We are frequently asked to rectify bundles which have been collated elsewhere but which have later been found to be in a mess. Whilst we are always willing to help, our view is that it is much better to deal with the records properly at the outset. To find out more please contact Sarah Wallace.